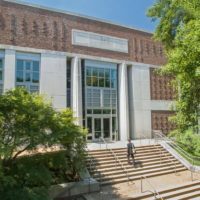 Vanderbilt University Board of Trust Chairman Bruce R. Evans, BE’81, and his wife, Bridgitt, have announced they are committing $20 million to help support university initiatives focused on the undergraduate living–learning experience, as well as leadership positions in the School of Engineering. The gift also includes an unrestricted bequest for future use. 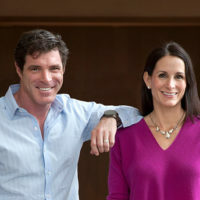 Bruce Evans, who came to Vanderbilt from West Virginia on a scholarship and later earned his MBA from Harvard Business School, is a successful technology investor and startup mentor who appeared on Forbes’ Midas List from 2006 to 2009. He is a former managing director and now chairman of the board of Summit Partners, a global alternative investment firm that is currently managing $14 billion in capital dedicated to growth equity, venture capital, fixed income and public equity opportunities. Bridgitt Evans is co-founder and president of VIA Art Fund, a national nonprofit supporting the contemporary visual arts. Before founding VIA, she worked as a real estate investor and earned an MBA from Harvard Business School and a B.S. from Miami University. Three of the couple’s four children—Taylor Evans, BA’14; Chloe Evans, BA’15; and Brian Evans, BS’17—graduated from Vanderbilt. Their son Connor Evans graduated from Bowdoin College in 2016. “As a former Vanderbilt scholarship student myself, I know the transformative power a scholarship can have on one’s life. We share Vanderbilt’s vision that access to a high-quality, immersive education must be within reach for every hard-working student,” Evans said. “My wife and I are deeply committed to investing in a residential college experience where future leaders can harness the unique, collaborative spirit on this campus to solve problems and drive innovation,” he added. This gift also supports the Bruce and Bridgitt Evans Dean’s Chair in Engineering. The dean’s chair, representing the highest faculty honor in academia, allows the leader of the School of Engineering to pursue important initiatives that will support the school’s future success. 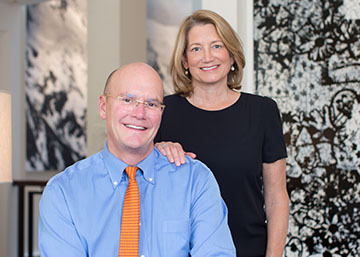 The Evans family’s previous gifts have helped support undergraduate scholarships and leadership positions in the Vanderbilt Career Center and the university’s innovation hub, the Wond’ry. Philippe Fauchet, dean of the Vanderbilt School of Engineering, said Evans brings an invaluable perspective to the school’s mission of solving complex problems through research and discovery. As a member of the Vanderbilt Board of Trust, and now as chairman, Evans has worked closely with university administrators to develop and carry out ambitious goals supporting the university’s groundbreaking financial aid program known as Opportunity Vanderbilt, building out the residential colleges and fostering innovation across the university.